PEOPLE AND TECHNOLOGY will keep moving forward to increase our solution’s value. See the future of RTLS and IoT. The need for a solution to effectively cover diverse spatial structures has increased as IoT solutions have been applied to a wide range of areas. This is especially true for smart factories, where workers, materials, forklifts and other vehicles are constantly moving in and out and must be continuously tracked. However, the maximum coverage of Bluetooth technology is only 70-100 m, and installing Bluetooth gateways in sufficient numbers for a large yard is a problem in terms of ROI. 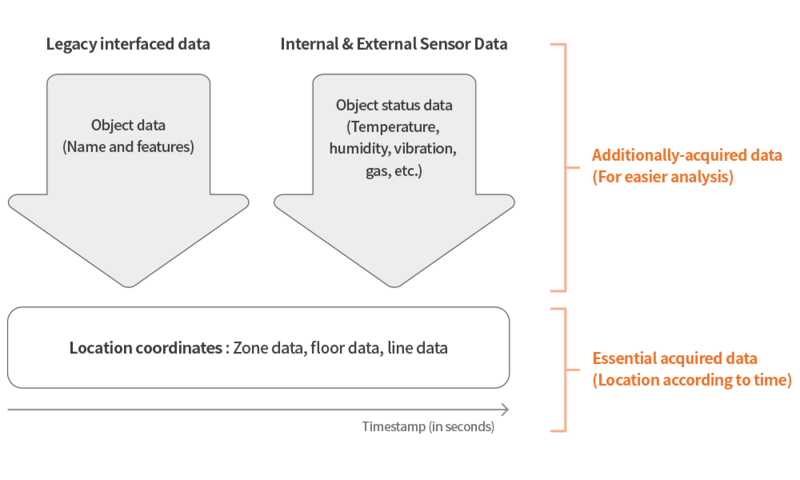 Other IoT communication technologies such as LoRa, LTE-M, and NB-IoT can cover several kilometers, making them more suitable, but they do not perform so well in terms of location accuracy. The indoor/outdoor IoT solution by PEOPLE AND TECHNOLOGY solves this dilemma. It uses the Bluetooth low energy (BLE) technology indoors, while outdoors it uses the low power wide area network (LPWAN) of LoRa technology, which can cover a wide area with fewer gateways. 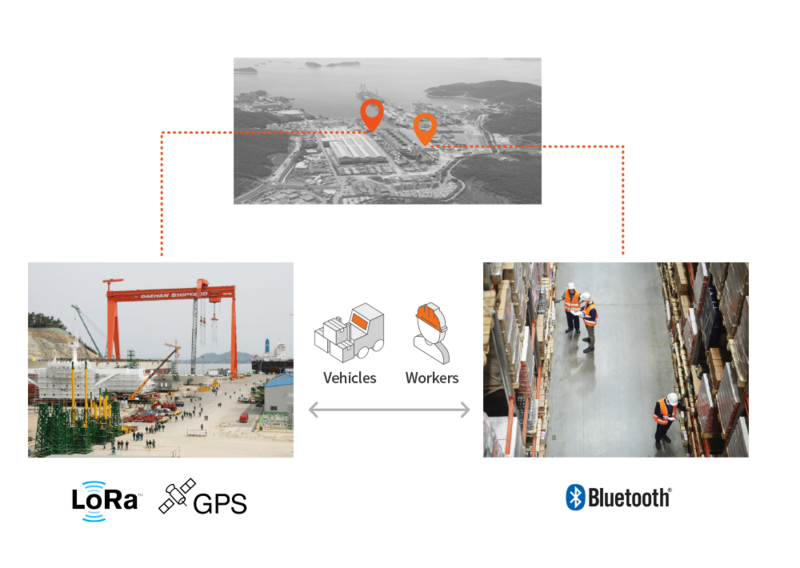 The convergence of the two technologies has enabled seamless tracking and smart sensing without interrupting business processes. Get IoT solutions optimized for large yards with Indoor outdoor IoT technology! to be released in the first half of 2018! Using LoRa maximizes the area covered per gateway, but the problem of battery consumption still remains because of the nature of location technology using GPS. The handover and back command control technology to turn on GPS only when needed (on demand) is crucial to resolving this additional problem. 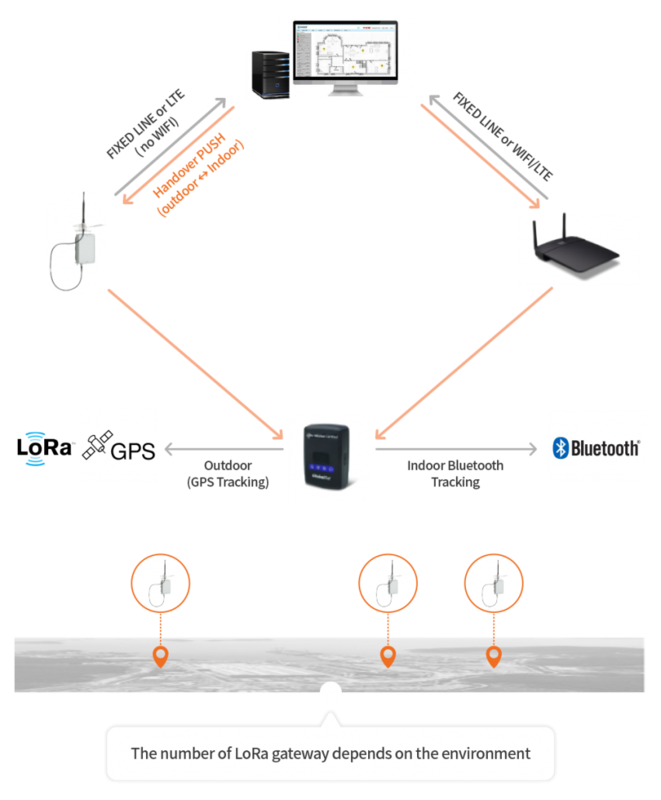 For vehicle tracking and other tasks for which power is always available, or for some devices such as welding machines, which have built-in large-capacity battery packs, the indoor/outdoor IoT solution by PEOPLE AND TECHNOLOGY can be the most effective way to track assets without modification. A beta version will be available in Q1 2018, and an official launching is scheduled for H1 2018. PEOPLE AND TECHNOLOGY has supplied solutions to more than 30 customer sites and has the case references it needs to generate the IoT data that allows customers direct and indirect access. The data generated by the IndoorPlus+ solutions have the following characteristics. 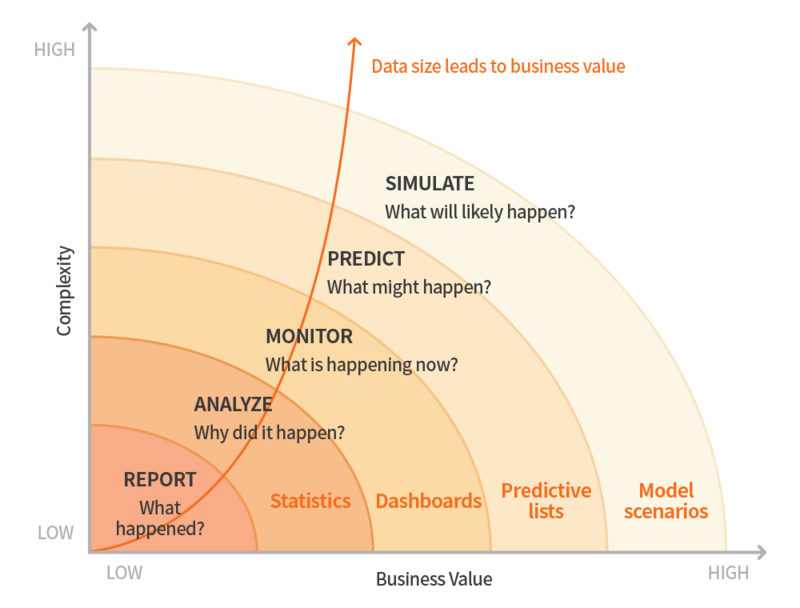 Why is PEOPLE AND TECHNOLOGY strong in IoT data analysis? AI cannot generate a desired result without a large volume of valid data. This is why AI technology has evolved in text (translation), voice, and image where the data are readily available. Companies like Google, Amazon, Naver, Kakao, and those in the telecommunications sphere have been able to develop AI technologies due to their quick access to data. Industrial IoT, healthcare IoT, and building IoT applications are also generating a huge volume of data. The IoT solutions of PEOPLE AND TECHNOLOGY can access, acquire, and process the IoT data generated every second in a variety of industries, putting us in a position to use analysis to meet customer requirements. PEOPLE AND TECHNOLOGY can access a rich resource of useful data, pushing us to the forefront of IoT data intelligence. PEOPLE AND TECHNOLOGY expects a breakthrough in the second half of 2018. IndoorPlus+ Analytics will open new opportunities for intelligence IoT.